I wish to share with you what I have learned running my own KS campaign and relay the advice I had been given by fellow KS creators. Hope it will be useful! I'm Peter and I make games with my wife, Sawa. 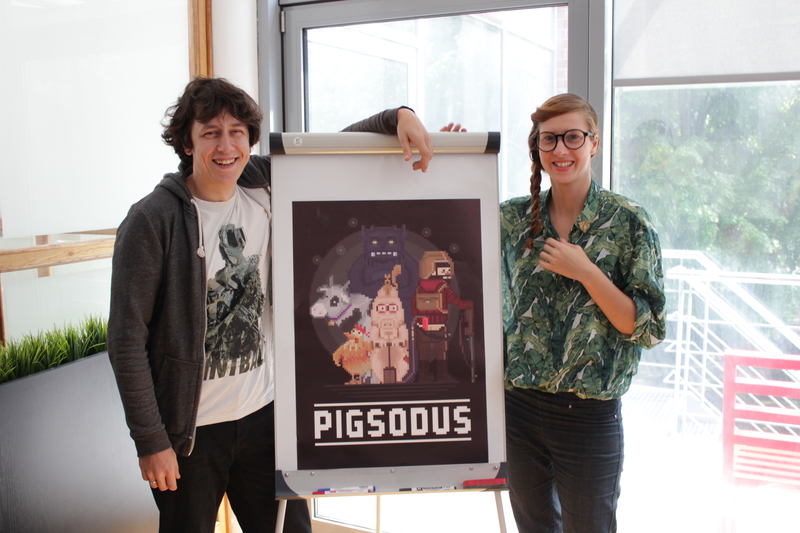 Our first title - Pigsodus was a funny point and click adventure game where you assume the role of a pig. We chose Kickstarter as a funding platform. It was our first game and our first campaign so we decided to be thorough with our research. So I came up with an idea to contact EVERY game developer that went through KS and ask for their advice. I had written some scripts and soon enough I had a list of every KS developer profile there was. I had divided the list into two sections (success/failure) and got all the contact info I was able to. In the end I got a list of 1284 emails. 2. How did you handle PR? 3. Did you use paid ads? If so - what was your budget? 4. How long did you prepare for KS? 5. How many media blasts/updates did you do during the campaign? I received around 200 replies out of the 1284 sent emails. 85 had intelligible answers to the questions above. I must add that I was overwhelmed by the positive spirit of Kickstarter creators community - most of the people we contacted wished us luck, offered help and went beyond the scope of my questions to deliver their advice. Even though my sloppily written scraper classified some of the cancelled projects as successes and some emails did not belong to kickstarter creators - for this I honestly apologize - no one was upset about the mailing. Disclaimer: There are not enough data points for the results to have statistical significance. Presented findings are subjective and should be subject to discussion. The numbers were pretty even which may indicate that people who succeeded felt more compelled to share their advice since it worked out for them (there are more failed campaigns in general campaign population). Just fun trivia. What was the biggest mistake that you've made? 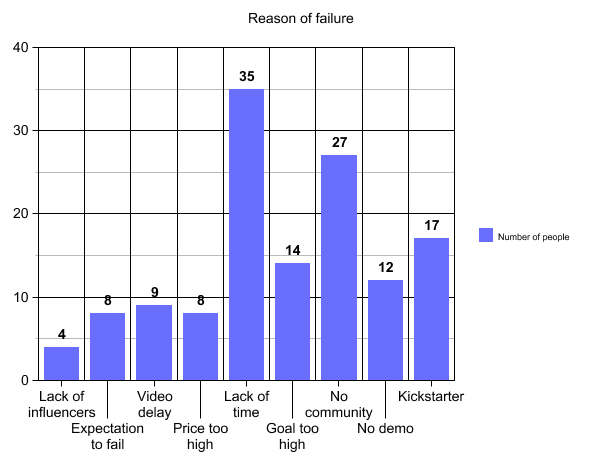 Kickstarter - citing the platform itself as the reason of failure, lack of help from staff, trouble editing, inadequate for target audience etc. Most of the people wrote they didn't spent enough time preparing and they rushed the campaign. This will show more when we see the results for question 4. 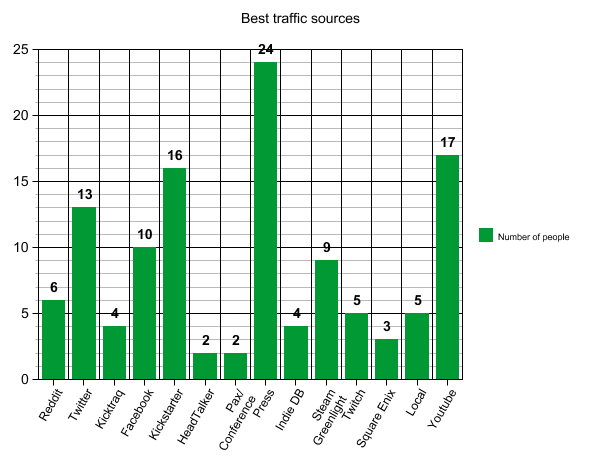 What was the best channel for driving traffic to KS? Labels are pretty much self-explanatory - local means friends and family. Square Enix refers to http://collective.square-enix.com/about. As you can see press and youtube mean a lot. How did you handle PR? Most of the people did the PR work by themselves, building lists and sending emails on their own. 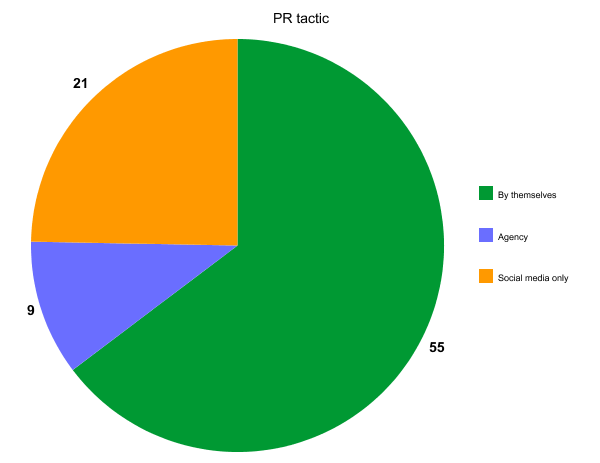 Only a few devs used agencies, and most of them were disapointed (only 1 out of 9 was satisfied with PR agency work). Some people only used social media to get the info out to the journalist. Did you use paid ads? If so - what was your budget? 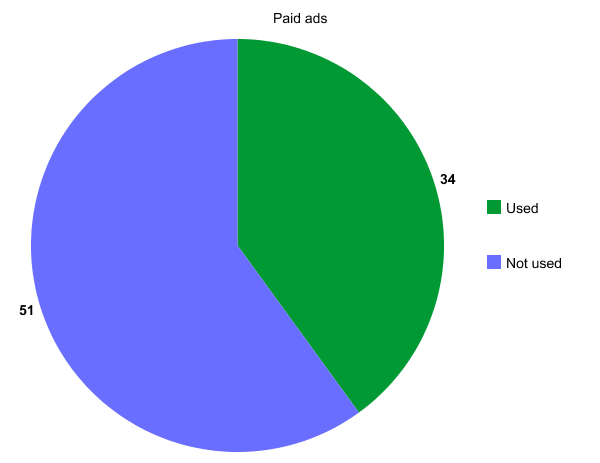 Most of the people did not use paid ads. Devs who failed were more likely to rely on paid ads. Average budget was around $300. Not a single gamedev had a purely positive experience with paid ads. How long did you prepare for KS? There was a simple correlation here - the longer you prepare the better your chances are. Most of the failed campaigns fell into the first two bins. How many media blasts/updates did you do during the campaign? 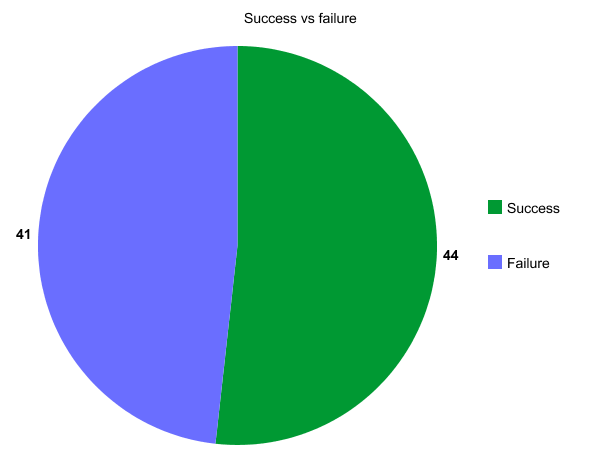 As with the lenght of preparation devs who updated more frequently were much more likely to succeed, most of the failed campaigns fell into the last two bins. Before I try to turn the results into advice - it's time to add one more data point - my own. Pigsodus was meant to be a point and click/rpg hybrid in which you control Horace Oinkstein a pig scientist (play the demo if you like). 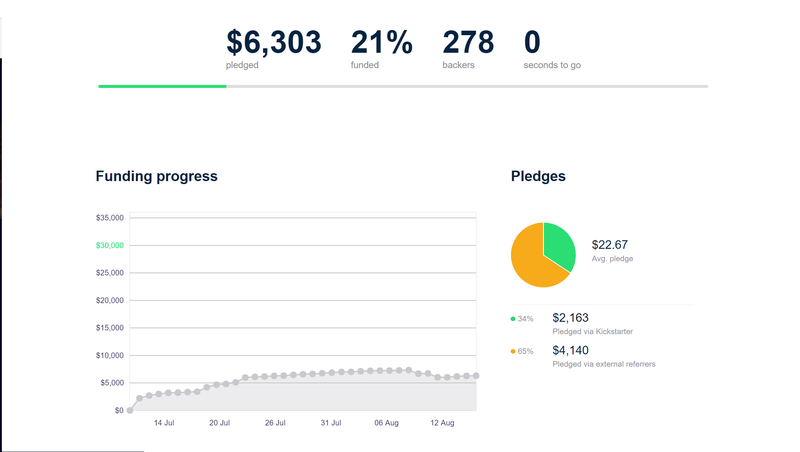 Here are the stats of our Kickstarter campaign. It was our first project and we made a lot of mistakes. 1. We set the goal too high. For a newcomer studio like ours it would be better to set a lower goal and make a smaller game first - in order to build audience and a name for the company. $30k was way too high and a lot of potential backers simply did not believe we are going to raise that much. 2. We relied on paid ads too much. We had an investor and we used the money the wrong way. Facebook ads before launch gave us plenty of email addresses (around 1.6k) for the newsletter - but most (if not all) of them were worthless. Facebook ads during the campaign had 0% conversion rate (that's sad ain't it?). 3. The video was not dynamic. Only about 20% of the people who seen the video watched it to the end. We should've showed more emotion or action during the first 10 seconds. Also I think we talked too much - from our research KS game videos perform well if they show a lot of actual gameplay. 4. We did not communicate with fans properly. We had no time to be in constant communication with the people backing our project - especially right before our KS campaign. 5. The scope of our demo was too ambitious. We simply tried to make too much and there was not enough time for a two-person studio to handle it. This led to a serious delay in sending of the demo to press and youtubers which contributed to our failure significantly. 1. Our idea and art were cool. We got a lot of flattering comments like 'this is the work of a mad genius' and so on. People started talking in puns on our SM. Press praised the art style and a significant chunk of our backers came from channels where we showcased art and from Kickstarter itself. We got into the 'Projects we Love' category. 2. We contacted a lot of youtubers. I used a script to gather youtube channels that covered games similar to ours. We ended up with a list of 6k channels. We sent the demo to everyone on the list and a LOT of videos had been made. Although most of them were from smaller channels - some of the people became our backers and it increased the visibility of our project significantly. There is just no reason not to do this. You'll get a LOT of traffic from Greenlight and in our case you can get press as well. Jim Sterling found our game and helped us immensely. If you are reading this Jim - you are awesome for helping small indie studios like ours, thank you so much! 4. Ron Gilbert backed the game. Perhaps you are not familiar with Ron (he made Monkey Island and is working now on a cool new game which you should totally support if you had pirated his previous titles in the 90s), but he's my personal hero - so his support was a HUGE success for me. Partly thanks to this I am sure we made something awesome - and we're not going to quit. My data interpretation and derived actionable tactics. 1. Prepare the campaign for at least 3 months. Plan everything beforehand. Allocate time for demo, video, communication with the press. Make some research and experiment if you don't know how much time things take. 2. Communicate with your fans on a regular basis. Apart from the standard game-asset posts here and there take some time to actually talk to your fans on facebook, reddit etc. You will gain sure backers and invaluable feedback. 3. Make a demo. This is tricky since it takes a lot of time and a bad demo can ruin your campaign. Nevertheless I think it is worth it. Showcase only core gameplay mechanics, don't overdo it. Make it 10-15 minutes long. This will also get you a video for Greenlight. 4. Don't use paid ads and press agencies. Most of the people I had contacted had bad experiences with these. You will waste money and time. It is better to spend the money on rent and pizza which will get you more time to prepare. Avoid people that will promise you backers on KS. 5. Showcase your game on Steam Greenlight at the beginning of your KS campaign. 6. Make a list of youtube channels and send them your demo a MONTH before the campaign. 7. Do the usual PR a MONTH before the campaign. Send a polite reminder a week before. 8. Make a profile of your game on following websites: itch.io, gamejolt.com, indiedb.com, gamespress.com, producthunt.com. 9. Post art and resources on SM and reddit at least twice a week. 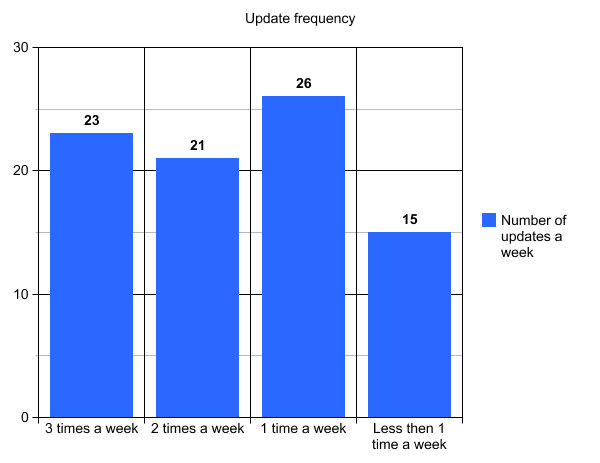 Use twitter more often (twitter is in my opinion better than facebook, since facebook cuts the post reach like crazy). Use instagram. Likes on facebook are worthless right now, don't focus on that. 10. Set the goal low. Settle on a smaller scope of your project. If you succeed in a few days you will raise more than if you do not. Having a successful KS campaign will also help you with publishers. 11. Stream on youtube. The algorithms favour streaming now and a lot of people will see you in recommendation section. 12. Engage your fans. Create art for them, let them in on some of the design decisions. This way your game will be theirs as well. Hope what I have written here proves to be helpful. Please be lenient with my use of english as it is not my mother tongue (i'm from Poland) and I am just begining to learn how to write well. Psilocybe Games in all it's two-person-one-dog glory is moving on to a new project called Balthazar's Dream. It's a puzzle platformer about a dog, a kid, an accident and a dream. You can learn more and join our community on Patreon.